Asia Shore Excursions has designed a wide choice of China shore excursions, day trips, and tours at various popular ports in China, including Beijing (Tianjin port), Shanghai, Guangzhou, Dalian, Qingdao, Sanya, Xiamen, Yantai, and HongKong. With every China shore excursion, we always take care to enrich your China day tour to optimize your visit at each port while experiencing this country in an individual way. Besides, we also offer custom-designed day trips and tours with flexible and unique China shore excursions with your own private car, driver, and guide. Each of our tours provides the highest level of quality, safety, convenience, and value. As a China travel expert, we recommend passengers applying for a Chinese visa in advance. Because immigration has the right to refuse the visa-free application, although the policy is applicable. 2）The visa-free transit should be applied by a local agent (specially appointed) in advance; the minimum number of travelers: 2 people. 3) Passengers should travel & leave on the same cruise. Which means you apply 15-day visa-free transit at Shanghai port firstly, and then you can do the China shore excursions in other ports like Tianjin, Dalian, Qingdao, Xiamen. 1) It’s available at the appointed city (appointed airport), and passengers should from 51 countries (nationality). 2) Passengers should arrive by international flight, and leave by international flight (going to a third country). Eg. You are eligible for 72-hour visa-free transit if you fly from Tokyo to Beijing and then fly from Beijing to Manila; You are not eligible for 72-hour visa-free transit if you fly from Tokyo to Beijing, and then fly Beijing to Shanghai or Tokyo. If your cruise arrives in Xiamen firstly and ends up in Shanghai, you still need a Chinese visa. Want to know price. Pls reply a sap. Lee. Thank you for your request. Please check your email for more details on the shore excursions you interested in and let me know if you have any other questions. We are interested in several shore excursion. Every shore excursion you interested in, feel free to contact us for more information and detailed quotation. Could you tell me the prices of the full day and half day tours of Hong Kong please? Thank you for your request. Please check your email for detailed quotation of Hong Kong private shore excursion. Feel free to ask us any question you may have. Thanks for your request on Hong Kong shore excursion, we have dropped you the detailed quotation, please check your email. Hello, We will be in Hong Kong on November 21. There are 6 of us but may increase our numbers depending on the price. We are having an overnight stay in HK. Would you please give me a price for a half and full day tour. How much walking is involved? Thanks for your request. The price per pax is cheaper if there are more people joining the tour. Please check your email for detailed quotation on Hong Kong shore excursion. Kindly let me know if you need more information. Hello do you have any excursions in naha okinawa for Sept3 arriving by Marinerof the seas. Thank you for your request. You can have a look at our available tours on the website, or tailor-make a private tour. Please check your email for more details of Naha – Okinawa shore trips and let me know if you have any other questions. 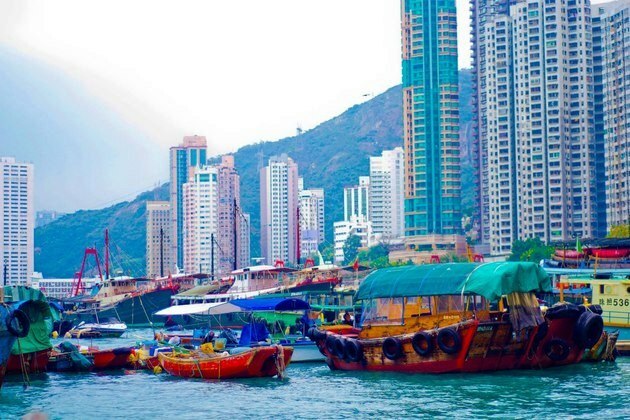 Prrices on half on full day tours in Hong Kong on December 23/17. We want to join a small group tour. Thanks for your request on Hongkong shore excursion, we have dropped you the detailed quotation, please check your email. Please send us prices and options for 2 adults on Monday, March 18, 2018. Thank you for your request. You can have a look at our available tours on the website, or tailor-make a private tour. Please check your email for more details and let me know if you have any other questions. China is an ancient country with over 3,600 years of written history as well as a rich and profound culture. Thanks to the long feudal period, Chinese culture is unique with a plenty of popular attractions around the whole country. 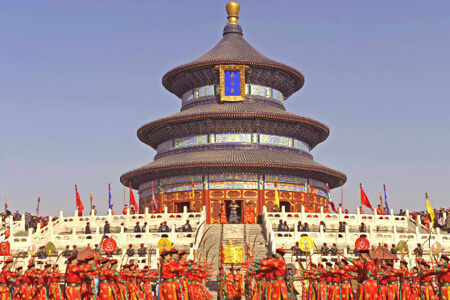 Asia Shore Excursions would like to recommend some which are best suitable for your top China day tours and trips. Be listed as one of New 7 Wonders of the World, the Great Wall is a must-visiting spot in any Beijing tours from cruise terminal. 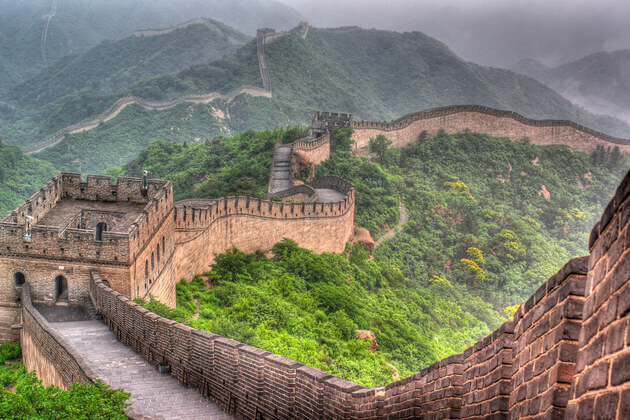 Mention about China, you can’t miss the iconic symbol Great Wall – also the longest wall in the world. This attraction is an awe-inspiring wonder with ancient defensive architecture. It lands over rugged hills and lush green huge grassland that creates wonderful scenery. The wall originally had the length of over 21,000 kilometers, along with the natural destructions and wars over 2300 years, now the length is only nearly 9,000 kilometers. The most famous section that attracts visitors is close to Beijing named as Badaling. The Wall is not a continuous line of side walls, circular walls, parallel walls, and some sections don’t have walls with high mountains or rivers serving as a barrier. To build this amazing wonder, around 800.000 people included soldiers, forcibly-recruited peasants, convicts, slaves, and even prisoners of war had to hard work under the tough pressure of the government. Always is in the top 5 most important palaces of all time in the world, the Forbidden City was a place where ordinary people were prohibited from entry. 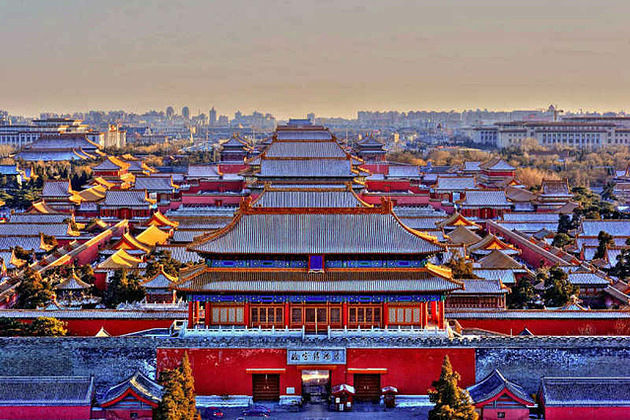 In the heart of capital Beijing, the palace is the best-preserved heritage sites in China, and the largest ancient palace in the whole world with the size is twice as the Vatican, and thrice as the Kremlin of Russian. 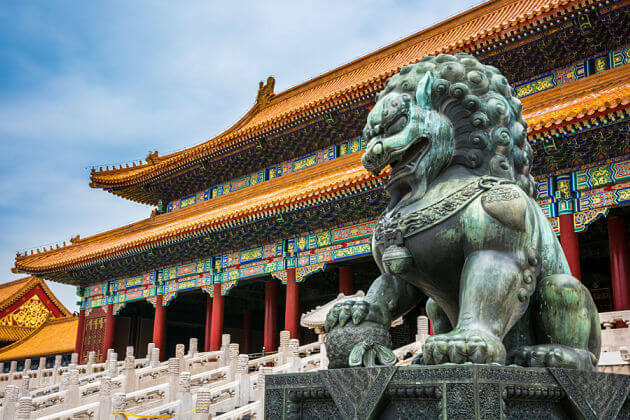 Served as the imperial palace of Ming and Qing Dynasty for 560 years with 24 Emperors lived here, the Forbidden City has exactly 9,999 rooms decorated with ancient artifacts and delicate items. That’s the reason why the palace becomes a large cultural museum opening for visitors nowadays. The best time to visit this palace is in spring and fall when the weather is pleasant. In spring, come with occasional rain, the mild temperature is a good condition for flowers blooming. While in fall, the weather is not too hot but not too cold and dry enough for a sightseeing tour. No Shanghai shore excursion excludes a visit to the Bund – the most recognizable symbols of the city. 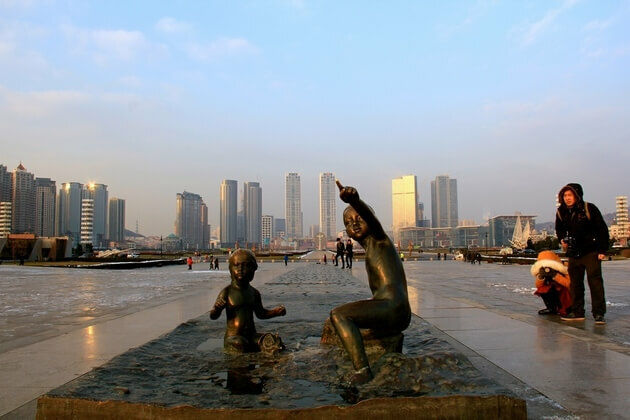 Lost in a living museum of the 1800s colonial-style with an endless stretch of waterfront spreading along with the poetry Huangpu River in the east and a line of 52 buildings designed in different architectural styles including Gothic, neoclassical, and even baroque in the west. This charming area can also be tasted with a cruise along Huangpu River. 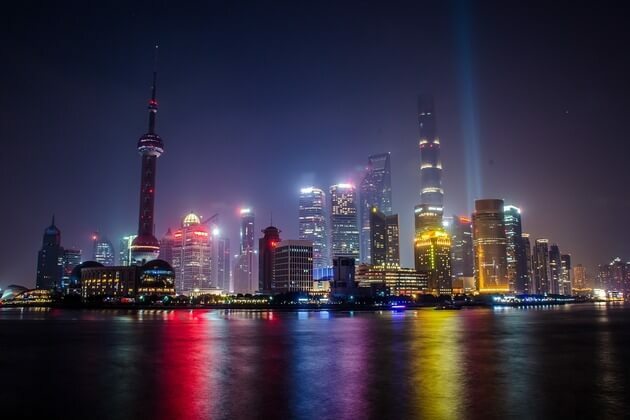 A Shanghai night cruise excursion is highly recommended when the Bund is lighted up and becomes a stunning showcase of things used to be considered as a distinctive contrast between light, historical architecture, and modern life. Your Shanghai day trips from cruise port will be more interesting with a visit to the Zhujiajiao Water Town. 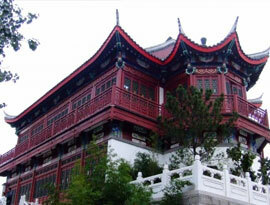 About 50 kilometers from the Bund, the town is the second Venice but with ancient Chinese style. 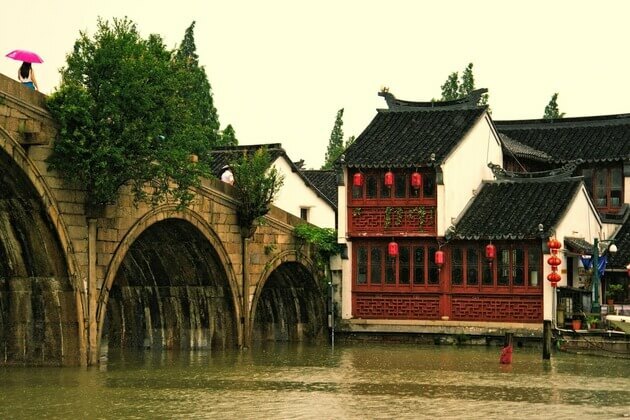 Zhujiajiao was a trading area which was used to ferry goods along by little boats through 36 ancient bridges to traditional warehouses on the side of the canals. Nowadays, warehouses transform into restaurants, bars, and coffee shops. Strolling along the street to enjoy the peaceful atmosphere brought by the downtown. Visit the Kezhi Yuan including the main hall, a garden, and the beautiful man-made hill, then take a walk to Fangsheng Bridge - the largest stone arch bridge in this bustling city or hop on a Shanghai cruise excursion go through under the bridge to catch the overview of this fantastic stone structure. 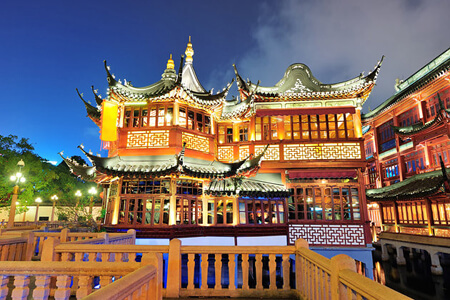 Not only well-known as the paradise of shopping, but Guangzhou also has many cultural values. 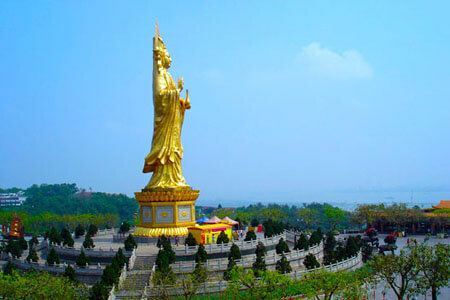 If you are a cultural explorer, the Chen Ancestral Shrine will best suit with a Guangzhou day trip or shore excursion. 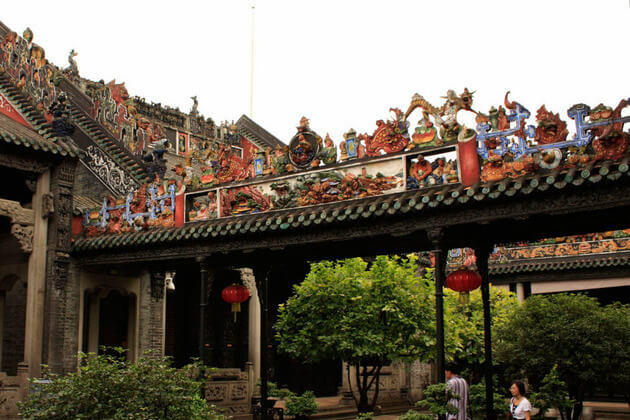 Was built just in the 1890s, the Shrine also had the name of Chen Clan Academy where trained for the Confucian Imperial Examinations, and now is called Guangdong Folk Art Museum. 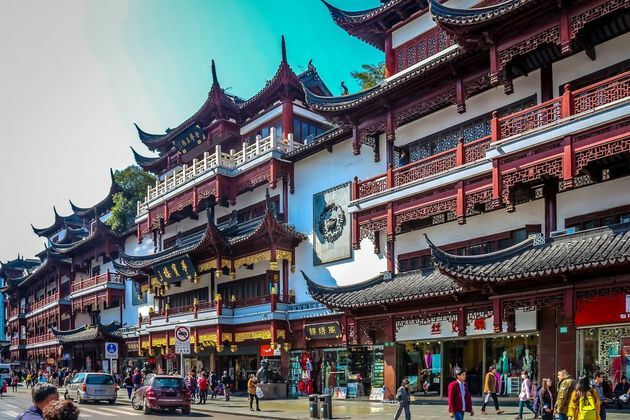 There is a surprising fact that this Chinese-traditional-style shrine was built at the same time when buildings mushrooming in commercial areas with Western architectural style. The unique feature of the Chen Ancestral is that all intricate artworks were put into the roof that has 11 ceramic ridge crests that look like dragons lying on the surface of the stone handrails. For short, the best time to enjoy China shore excursions is springtime lasting from March to May and autumn between September and October. These times mark the pleasant weather in most areas of the country. However, China is one of the largest countries in the world that stretches over 5,000 kilometers with various kinds of landscapes including mountainous, high hills, deserts, forests, deltas, and coastline. If you are planning the top China tours, check out the list of weather by cities that Asia Shore Excursions provides below. The capital of China has the nice weather all year round which is divided into four distinct seasons. Normally, summer is hot and humid lasting from June to August with the average temperature is around 27°C. Visitors should avoid this time due to the heaviest rainfall can be met in July. Contrast to summer, winter in Beijing is cold and dry that can lead to freezing at night. However, it is not a bad time to enjoy an excursion to Beijing that the scene is dramatically stunning with a thick layer of snow. Spring in Beijing, running from March to May, meets a great number of visitors coming each year due to the mild weather and beautiful cherry blossoms covering most streets. 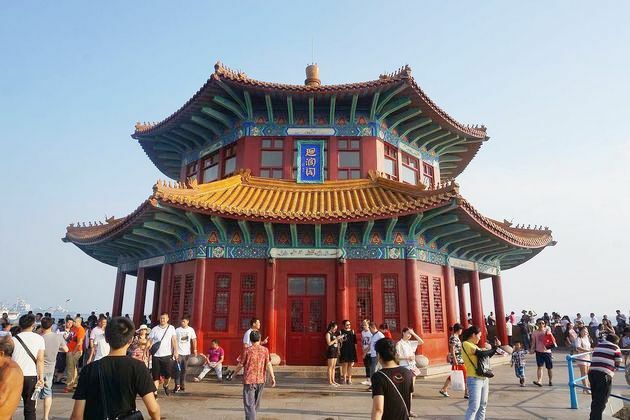 However, the best time to visit Beijing shore excursions from cruise terminal is during September to October when the rains leave and the beautiful autumn colors stay. Shanghai is a slightly wet city with the best time to visit is in spring lasting from March to May when you can enjoy the warm weather and lack of rainfall. Three months later is the time of summer with extremely hot and humid weather. Only sudden downpours can blow the heat for a while. Autumn meets the fluctuate temperature but still be a comfortable time to enjoy a Shanghai shore excursion. The dramatic weather of this city is clearly revealed in winter when the temperature drops below 0°C with heavy snowfall. Having three sides adjacent to the sea, Dalian weather is complicated with both features of monsoon continental and oceanic climate. This warmest city in Northeast China has dramatically hot summer and not too cold winter generally. You should avoid August – the peak time of heat, and January – the coldest month. Summertime is not really ideal with regular rainstorms and heavy rainfall at night. The best time to enjoy Dalian shore excursions is from May to October when many festivals are celebrated such as Dalian International Fashion Festival and Dalian Beer Festival. A day trip to Guangzhou is the heaven of shopaholics. 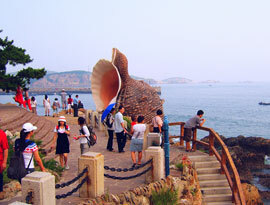 For overall, Dalian weather is warm and humid all year round with the best time to visit is from October to November. However, this city can be freely enjoyed every time of the year by the hot summer and warm winter with a little frost and snow. 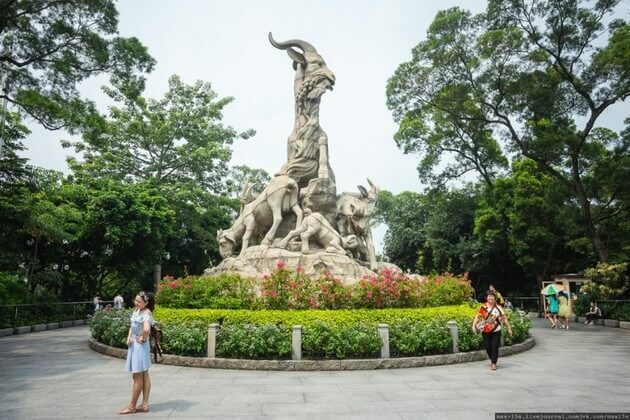 The average temperatures fluctuate around 21 - 29°C making Guangzhou be a great city to visit in China shore excursions. Known as the 'Oriental Hawaii', Sanya is one of the hottest destinations in China for hitting the beach. Blessed with lovely summery weather all year round, there is no best time to visit Sanya day trips. The average temperature is 25°C lasting through the winter time. 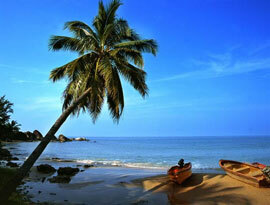 The tropical climate combines with the clear water sea to transform this city into a paradise on earth. 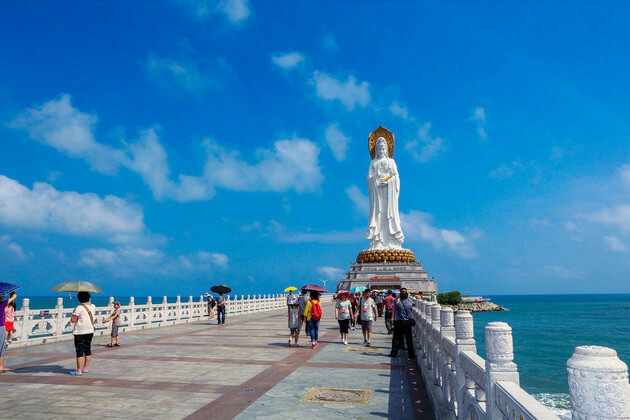 However, cruise passengers should not choose the time from May to September to enjoy their Sanya shore excursions due to occasional typhoons can visit the bay. Xiamen has the subtropical monsoon climate with the gentle and enjoyable weather most of the year except the summertime by the visit of some typhoons from July to September. The average annual temperature of this city is about 21°C with the rainy season is from May to August. Because of the mild climate in winter, only sweaters or light coats are needed even in the coldest month of the year – January. There is no intense heat of summer with the annual highest temperature is 24.5℃ on average. Therefore, tourists can enjoy Xiamen shore excursions all the year round to this sub-tropical city as long as not in the Typhoon season which mainly in July, August and September. 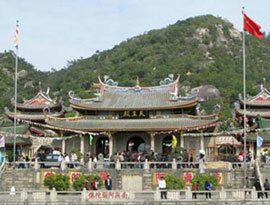 Tourists will be definitely amazed by various local festivals in Xiamen. Thanks to the sufficient sunshine, the tourists have chances to see a variety of gorgeous flowers, especially in the Phoenix Flower Tourist Festival which occurs in June. Moreover, the Gulangyu Piano Festival in August or the Bobing Festival ('Cake Gambling') in the week of Mid-Autumn Day is also the must-watched festival in Xiamen. Being the 42nd percentile for pleasant weather compared to tourist destination worldwide, the temperature in Yantai is enjoyable almost every time. Late July is normally the hottest time of the year with the average temperature around 30.5°C (86.9°F) and rarely under 23.4°C at night for the lowest temperature on average. 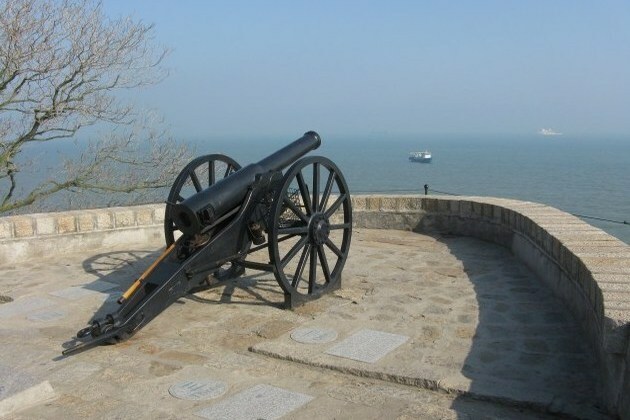 Therefore, the perfect time to visit Yantai day trips from cruise port is suggested to tourists is in summer and autumn; from mid-April to June or from September to the end of October in particular. 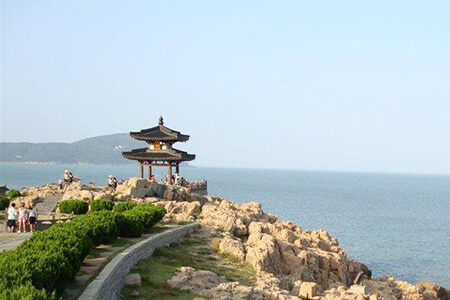 Being the largest archipelago of China, Zhoushan is strongly affected by the sea which makes it have a humid and temperate climate. The annual temperate on average in this city is about 16.1°C. There is no severe cold of winter or intensive hot summer. 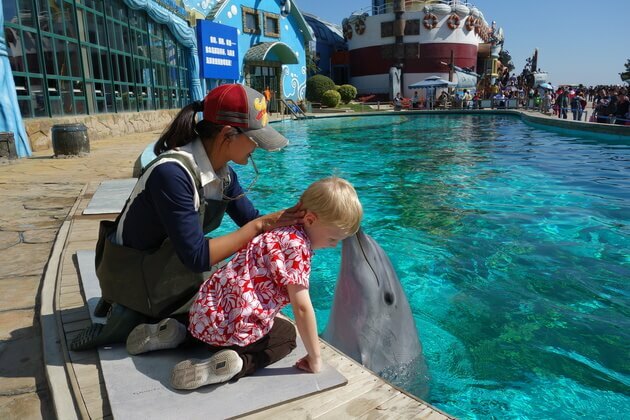 Because of the typhoon period which concentrates from July to September, the best time for the tourists to take Zhoushan day trips is from April to mid-June. If you come here on the typhoon time, remember to follow the weather forecast and marine information as well as always bring the umbrellas or raincoats along with you just in case. To visit China, foreigners need to hold passports which still valid at least six months from the entry date. Normally, visitors from most countries require a visa to enter China which is promulgated by Chinese embassies in their countries unless they live in a visa exempt country. Visa to China does not include visa to enter the two Special Administrative Regions – Hong Kong and Macau which have an independent border policy. However, there are some countries which can apply for visa-free with the duration of staying depends on the agreement. Only citizens from San Mario, Bosnia and Herzegovina can stay in China for 90 days, and Mauritius for 60 days without a visa. There are 10 countries can get visa exempt to China for 30 days including the United Arab Emirates. Besides, visitors coming from Brunei, Japan, and Singapore can stay in China for 15 days with just an ordinary passport. With travelers transit to China through the airway, they can get visa exempt during the time of 24 hours with most countries, and 72 hours for 51 special nations that you can have a look on Wikipedia for details. Visitors to Hainan Province including Sanya Bay can get special visa-free. Note that visiting with a group can adapt to the group visa with a special rule. 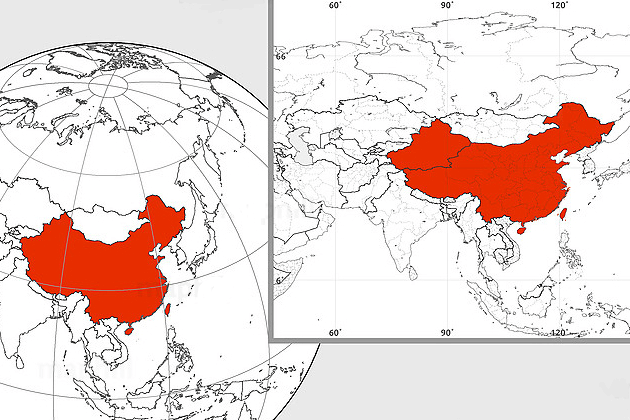 China is a developing country that telephone service can be widely accessible. To make a call or send a message, you have to register with one of the Chinese mobile suppliers for international services. Note that you should check the cost for telephone services that each supplier has its own chart. You can also purchase a local SIM card from China Mobile or China Telecom. Your ID or passport number is required for this service. The Internet when in China shore excursions is also easy to access in many places including hotels, airports, shopping malls, coffee shops, restaurants, and so on. However, some hotels will not provide free Wi-Fi that you have to pay for an expensive fee to access the internet. Due to the history of over 5,000 years combining with the well-known Silk Road stretching over various regions, China marks its reputation as one of the most innovative and ambitious nations in the world. China shore excursions provide the valuable chance to get a glimpse of one of the most historically influential empires through multiple of ancient attractions including The Great Wall, Forbidden City, Terracotta Warriors in Mausoleum of the First Qin Emperor, and so on. After a glimpse of time, this country is a commercial hub where serves as a trading center of the world. China has undergone a dizzy rise on the economic field and now become a star on top vibrant nations of the world. With the rich history and developed economy, China is home to most crowded and largest cities in the world. There are numerous migrants moving from the countryside to urban areas every day leading to the population in big cities becoming a boom. Most cities you visit in China shore excursions are dominated by towers, skyscrapers, financial centers, shopping streets, luxury restaurants, and sleepless bars. However, development always comes at an expensive price. In big cities such as Shanghai, Beijing, and Tianjin, the environmental pollution is the biggest matter for citizens living in. However, if you visit the countryside or non-financial hubs in China day tours, the landscape is still pristine and green enough to live in. The natural beauty is worth a China excursion with immeasurable rice paddy fields, splendor gorges, vast plateaus, majestic holy mountains, towering karsts formations, and multi-colored lakes. As the most important religion in the old time, Confucianism has an intense influence on both Chinese people’s lifestyle and culture. Even though the modern lifestyle is rising at the present, they still keep in heart the most priceless values of the ancient hard time including the long rooted in beliefs and traditions. 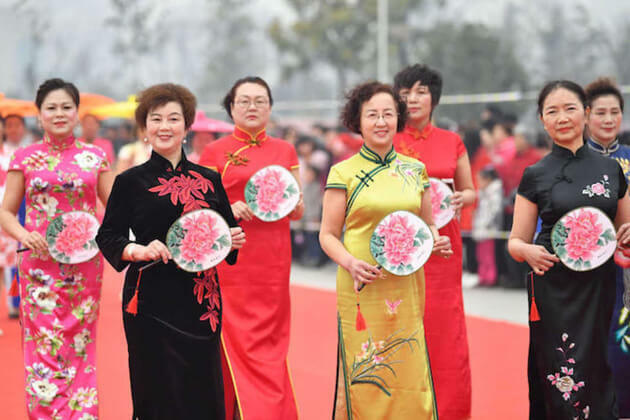 Besides, Chinese culture is not encapsulated in a framework but abundant with 54 official recognized ethnic minorities living scattered along with the country. Been through the 5000 years longevity of history, China is a must-go country if exploring Asian culture is your wish. 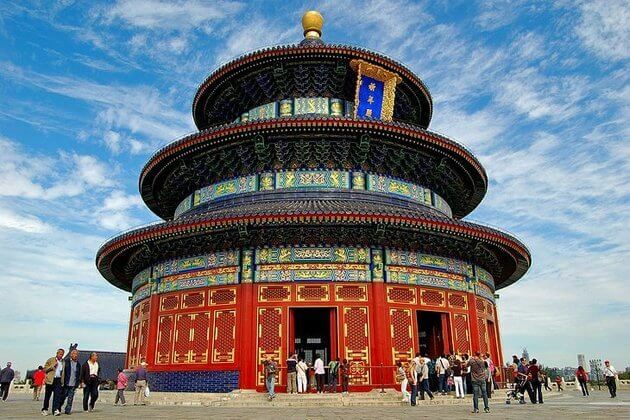 When coming to this historical landmark, you will find out that only a China day tour or just some days is not enough for you to discover even a piece of this hottest tourist market. Breathtaking natural scenery, impressive historical and cultural sites, as well as mysterious folk customs, will definitely make you be amazed by. 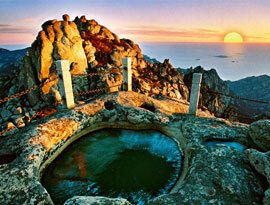 Moreover, each region also has its own significant features that make China shore excursions even more diversified. The only thing will make you regret is not to stay here longer and longer to experience everything. So how tourists can visit as many China famous sites as possible in a suitable time with the affordable money? Asian Shore excursions are absolutely the best solutions for you. 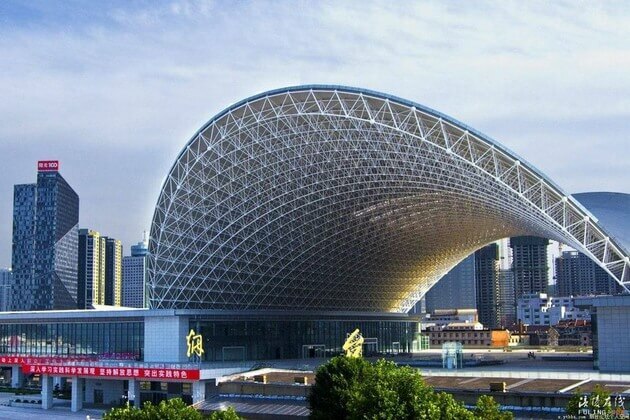 We will offer the visitors not only various options about the top China tours but you also can tailor-made your own tours to your ideal destination such as Guangzhou tour or Beijing tours from cruise terminal. Our China shore excursion expert also recommends you the most luxurious cruise ship that tourists can enjoy a completely relax and comfortable vacation. But first, we will give you some useful information for your China Shore Excursions that you can have in mind some necessary background knowledge about one of the fourth most visited countries in the world. Being the most populous country in the world, the People’s Republic of China (PRC) has a wide range of ethnic minorities. However, this powerful country only officially recognizes 56 ethnic groups, several smaller ethnicities which subsumed as part of other ethnic minorities have not been recognized yet. Being the largest ethnic group in China, Han people make up about 92% of the population. Moreover, this group also live in other countries and comprise about 19% of the global population. Hui people, the Zhuang, Manchu, Uyghurs, and Miao are the other five largest ethnic groups in China with populations exceeding 10 million. Meanwhile, Chinese people speak mandarin which is based on the Beijing Dialect, most of the minorities speak their own languages which can fall into 15 different main language families. These groups live scattered in a variety of regions, speak their own languages and also famous for their own significant tradition which diversifies the historical culture in China. Making up about 74% of the population, China’s folk religion which also has a wide range of followers worldwide has been practiced in China for thousands of years. 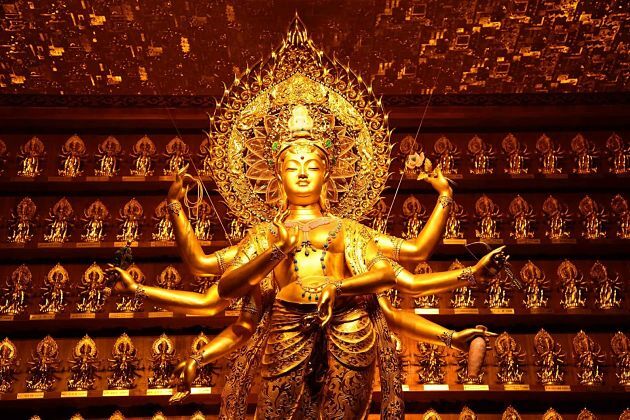 Chinese Buddhism, Confucianism, and Taoism are the three major philosophy-religions that are influenced by this main religion which makes their differences between and boundaries of those religions blur. 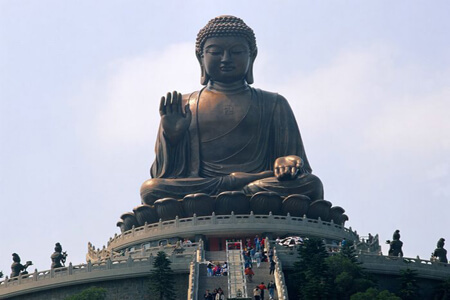 Buddhism is the second largest religion which at about 16% of the population. Other religious organizations such as folk salvationism and Taoism just make about 7.6%. Christianity (2.53%) and Islam (0.45%) are the other minority religions in China. Obviously, your own safety and security are the important problems that everyone needs to consider about especially when you go abroad. Luckily, China is a comparatively safe country, even though, in such a populous country as China, most crime such as pickpocketing is inevitable. However, it is easy to be solved, tourists just need to take precautions such as keep your wits about you and make it difficult for thieves to get at your belongings especially in the high-risk areas such as train and bus stations in rush hours. Moreover, please be careful whenever you cross the road especially in the big cities. It will be your greatest danger when you are in China shore excursions. It is said that ¥210 is the average price of a hotel for a person a day and ¥419 for a couple. However, if you rent a shared room where can sleep 6 to 7 people in a 2-star hotel, the price will be just around ¥130 per person. Of course, if your level of comfort is different, several luxurious hotels are available for you to book a room there where no limitations can be counted. The different money will give you different services. It is very difficult to ask for the quality of wifi or breakfast in a cheap hotel as well as other inconvenient problems. To save your wallet, you should book the rooms from 1 to 2 months before traveling there and please notice about the promotions also to have the best prices. Moreover, it is very risky to book a room in your China tour through Internet because it is very difficult for the tourists to know if the quality of the room is actually suitable for its price as to be said. Therefore, you can definitely haggle for the more economical prices. Moreover, when you enter the room, remember to check all the facilities. Otherwise, if anything loses, you will have to pay for it. As in other Asian countries, Chinese cuisine is very cheap, diverse and tasty. You can pay only ¥10-15 for a plate of noodles to fill in your stomach. However, if you are not vegetarian, a meal with some plates and with meat and fish will cost you higher. The average price for food a day will about ¥129 a day. 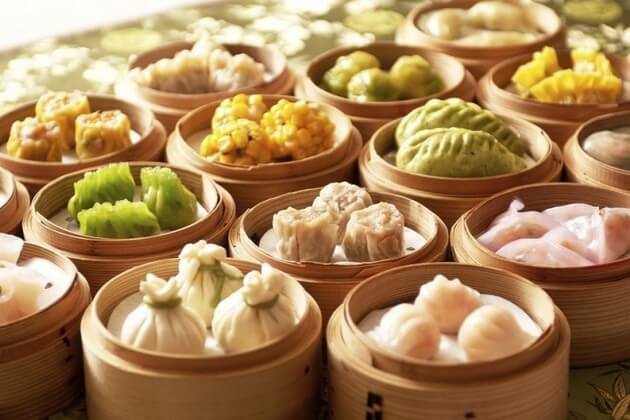 From the famous spicy tofu in Sichuan to the roasted savory duck in Beijing, your China tours won’t be fulfilled if you do not try all the traditional food across the country. The transportation, especially the public transportation in China tours from cruise ship are easily affordable. It is undeniable that buses are the most economical one which costs only from 6 to 18 RMB depending on the distances and different period of time. Or else, you can also travel by subway which works daily from 6 a.m to 12 a.m and very cheap also. Make sure that you know exactly the route of the destination you are going to visit! Obviously, traveling by taxi or hiring a private driver will cost you more but your visit will be more comfortable and more efficient. Moreover, they are still cheaper than those in Europe or U.S. However, remember to check the meter and bring the address which should be written in Chinese along with you all the time; in case you want to ask the local about the direction. If you are the victim of the pickpocket, remember to report it immediately to the nearest Foreign Affairs Branch of the Public Security Bureau (PSB). In there, you will have to fill in a very crucial report – the loss report that you can use to claim compensation if you have travel insurance. Make a copy of your passport and other important documents in case of loss! Besides knowing about the cultures, cruise passengers hopping on China tours from cruise ports should learn some basic words and phrases in Chinese also. Because the local people, especially the old can hardly speak English. For example: Hello = Ni hao (Nee how), thank you = Xiexie (Shieh-Shieh) or How much = Duo shao? (Dwuh shauw?) and so on.